She was the first and continues to be the only Arab woman to have broken into the WTA top-100. Selima Sfar’s rise to the top was ground-breaking, not just for Tunisia but for the entire region and the 36-year-old is hoping to continue creating a tennis legacy post-retirement. Sport360° sat down with Sfar at the Habtoor Grand in Dubai to know what it would take to have another female Arab champion. How’s life been for you since you retired? I started working with Al Jazeera at the end of my career. I decided at some point to have some stability and go away from the competition. I don’t think I was a born competitor. I know I made it for 16 years on tour, but the competition side is not natural for me. Al Jazeera is great for me because I get to use my experience in tennis, I’m talking about something I know, I’m learning a new job, I’m giving something also to the people, to the Arab world, to Arab women. I’m also transferring my passion to people in general. But again, for me it’s important to show Arab women that another Arab female player is on TV talking about sports. I want to keep going in that direction. How did you get into tennis and eventually become the first and only Arab woman to get into the top-100? I stayed in Tunisia until I was 13. I went to France to big tournaments, Les Petits As (a premier junior tournament for players aged 12-14 ) and I did some really good results. So they asked me to go to the French federation, but for this I had to change my passport. I didn’t want to be French, I wanted to stay Tunisian. I was clear, even at that age, with my goals. So I went to another practice camp in Biarritz with Nathalie Tauziat. I left my family and country at 13. I was lucky because I had a family who didn’t hesitate to let me pursue my passion. You know, for an Arab woman at 13 to leave the family to play tennis… no one had done it before from this region. I had no example to follow as an Arab woman. So I was very lucky that my family believed in me. After that it was very difficult in a personal way. I was crying a lot, feeling lonely, missing my family, readapting… I was practising all the time, improving and playing tournaments, that’s what kept me going. Do you remember a point that validated what you were doing and made you believe you’re on the right track? The first tournament I won. I wasn’t 16 yet. It was in Tunisia, in Carthage. It was my club, my town, in front of my home crowd. It was the first ITF $10k in Tunisia and the final was on Women’s Day. So it was so symbolic. And when I saw the reaction of the crowd, it was on TV, the whole country was behind me. When I saw that reaction I was like ‘I think maybe I have something good here’, and it gave me motivation to continue. What was your proudest achievement throughout your career? It was the first time I made it into the top-100. Because getting into the top-100 is one thing, but I stayed there or around there for about eight years. Also, participating in Grand Slams was a lot of pride for me. I took part in 37 Slams. So every time you see a Tunisian flag there, you can talk about the Arab world, Arab women… it means a lot to me. And of course my best result which came in Dubai. Reaching the quarter-finals, having match points against Nathalie Tauziat to go to the semis against Martina Hingis was a very good result. Also making the quarter-finals in doubles at Wimbledon was great. I ask myself many times ‘why me?’ I was able to be the first one to make it and I hope that there will be many after me. And first of all, the passion for the game. Also I was lucky with my family, that they had enough money to let me do it and pay for my expenses. Because sometimes you have really big talents but they can’t do it because of the finances. Also, I learnt to be disciplined very early. I’m a maniac when it comes to discipline and organisation and I think that’s very important in tennis. And maybe the education and the fact that you don’t let go, you should never let go and just give your best every day. I believe if I had stayed in Tunisia it would not have been the same. What needs to be done to create female tennis champions from the region? And first of all, the passion for the game. Also I was lucky with my family, that they had enough money to let me do it and pay for my expenses. Because sometimes you have really big talents but they can’t do it because of the finances. Also, I learnt to be disciplined very early. I’m a maniac when it comes to discipline and organisation and I think that’s very important in tennis. Today the most difficult thing is to make a girl or a young lady believe that they can make of tennis or sport, their job. It’s not part of our culture. What about sponsorship in this part of the world? I really do believe that the federations must play a very important role in helping kids who have potential and talent, who don’t have enough money to make it. They need to have a team to scout for players, you need to see the background and the family and if they need something. Also, the federation must have the budget and sponsors to help them. You need to bring in good coaches and train them. That way it costs less money than travelling abroad. For me, it starts from the federations. This sounds great. The more tournaments in the Arab world the better, but maybe it’s a little bit extreme to do it this way. Maybe this guy can allocate this money differently between tournaments and maybe provide really good coaches for kids and help the 10 best kids in the country. Do you ever see coaching in your future? This year in Miami with the WTA I got my certificate of Pro Coach, which is the highest certificate you can get as a coach. So I have it in my pocket. If one day I feel like the opportunity is good and the team around is ready, then why not? 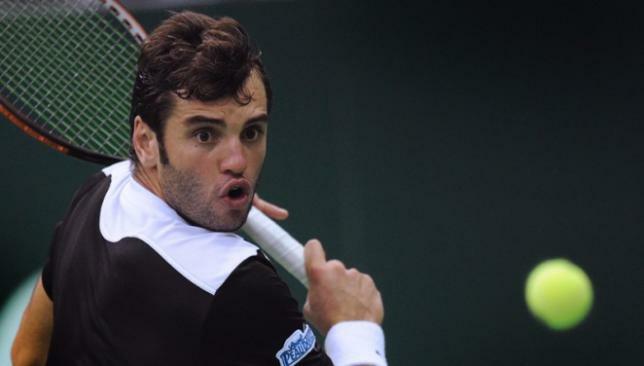 The Tunisian Ministry of Sport and Tunisian Tennis Federation have forced Arab No1 player Malek Jaziri to withdraw from his quarter-final match in Tashkent against Israel’s Amir Weintraub. The Challenger match was scheduled to take place on Friday at 10:00am (local time) but Jaziri, who had defeated Roger Federer’s Wimbledon conqueror Sergiy Stakhovsky in straight sets in the previous round, pulled out before it started. Jaziri’s brother, Amir Jaziri, who has been speaking on his behalf in this matter, told Tunisian radio station Shems FM, that Malek has been ordered not to play by the sports authorities back home despite him explaining to them that he can face sanctions from the tour which can affect his future in tennis. Amir Jaziri said: “Malek received an email from the Federation telling him they’ve met with people from the Ministry of Sport and they ordered Malek not to play this match. “Now we are hoping that this will not affect his future. We hope the ministry can give us assurance that nothing will harm Malek but I guess they can’t. “Today this issue is putting too much pressure on Malek. People are calling him, messaging him and posting comments on Facebook…He had to switch off his phone. Malek Jaziri, currently ranked No169 in the world, had the chance to rise up to around No135 in the rankings had he captured the title in Tashkent. Both Jaziri and Weintraub belonged to the same club in France, AASS Sarcelles Tennis, and have known each other for years through the sport. Retired Tunisian player, and the only Arab woman to be ranked in the WTA top-100, Selima Sfar, said she understood the difficult situation Jaziri was put in by his own government and federation, who provide some financial support to him. But the 36-year-old said she believes he should have played the match. “I love and respect Malek dearly but he should have put his foot down and played,” Sfar told Sport360°. “He is a professional and he must take control of his own career. In my day I played all players of different nationalities alike and I never cared to ask for permission to face anyone. Following Jaziri’s withdrawal, Weintraub will now face Teymuraz Gabashvili in the semi-finals in Tashkent. * You can contact the author of this story on @ReemAbulleil. 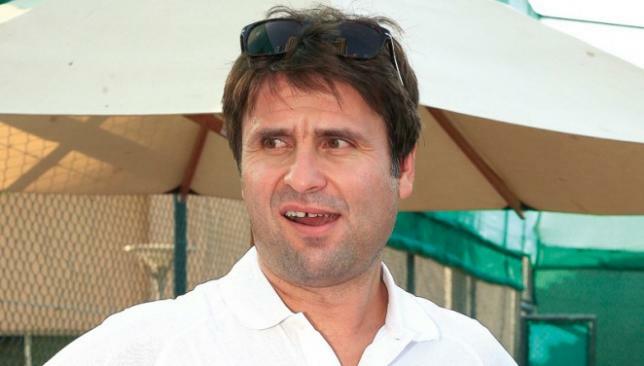 Fabrice Santoro couldn’t help but chuckle at the first question he received, when holding a Q&A session recently in Dubai. 'Why did you decide to play with two hands on your forehand and backhand?' an eight-year-old asked at the Habtoor Grand. As the only player to contest Grand Slams in four different decades – from 1989 to 2010 – Santoro entertained the tennis world for a considerable period of time, where his slice-and-dice game brought finesse to a sport that was becoming more about power and less about feel. His inconceivable shots also earned him the nickname ‘The Magician’ which was first coined by Pete Sampras following a tight three-set win over Santoro at Indian Wells in 2002. “My style came very naturally to me and also my dad, who was my coach as a kid, and he always told me ‘in life everything that is natural, just keep it’. And my style was natural so I kept it,” Santoro told Sport360°. He won the Dubai tournament in 2002, nine years after he made the final in the very first edition of the event. “As a player every year in November or December you prepare your schedule for the next year,” he explained. “And I remember in 1992 I said ‘oh, next year there’s a tournament in Dubai’. And 20 years ago everyone said, ‘where is Dubai?’ I’m a little bit curious and I said ‘Dubai, I want to see it’. Since he put an end to his professional career at the 2010 Australian Open, the three-time Grand Slam doubles and mixed doubles champion has kept close ties with the sport. He commentates for both French and British TV, has been doing the on-court interviews at the French Open and is part-owner of the ATP tournament in Metz. He also remains a keen fan and could not help but drift away from our conversation every now and then, as his eyes shifted to the nearby TV that was showing the Shanghai quarter-final between his countryman Gael Monfils and Novak Djokovic. Unlike Pat Cash, who recently described the current men’s game as boring and predictable, Santoro finds it riveting. Santoro won the mixed doubles title with Daniela Hantuchova at the French Open, but in singles, he agrees with Jo-Wilfried Tsonga that it’s difficult to see a Frenchman win the home Grand Slam. Tsonga, though, reached the semi-finals at Roland Garros this year before succumbing to David Ferrer. “But he was right, he didn’t win,” laughs Santoro. Tsonga’s run to the semis without dropping a set and crushing Roger Federer en route was not the most dazzling stretch of tennis from a French player last summer. It was Marion Bartoli who stole the show with her surprise Wimbledon victory, sporting a double-handed game like Santoro. “I was very surprised. Nobody was expecting her to win the tournament but this Wimbledon tournament, especially on the ladies side was very strange,” he said. “She had an opportunity and she took it. But what’s even more amazing is that she stopped after. Santoro says Federer remains his favourite player to watch, for his elegance and the fact that they played each other 11 times brings back sweet memories. But when asked to weigh in on the Federer-Nadal greatest of all time debate, he thinks the Spaniard can make a case for himself. “One very important statistic is that Nadal is the only guy on the tour who has a positive record against everybody – Djokovic, Federer, Murray and every guy. Federer is negative against Nadal and Murray. With this positive record, if Nadal wins four more Grand Slams and ties Federer, then yes, he could maybe take the spot,” he adds.